As of now Simcenter 3D has a new release, version 12. It’s the biggest release ever! In this post, we share several highlights you can expect from this latest version. 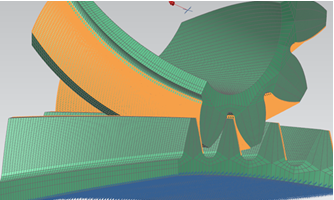 Simcenter 3D provides us with outstanding support in the creation of new shapes and topologies. Explore how! Download v12 Read press release What’s new in detail! 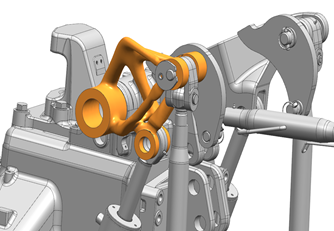 For the first time output from a topology optimization can be directly imported in the design process. The topology optimization process itself is also highly automated and the user simply controls a trade-off in resolution vs. time available for the solver. In Simcenter 12, new Convergent Modeling capabilities have been added to enable the exchange of data between the design environment and Simcenter for CAE Polygon Geometry. One key differentiator of Simcenter 3D is to integrate multiple technologies from different tools into one platform. With the latest release Simcenter 3D now provides expanded support for nonlinear solutions based in LMS Samtech Samcef™ software. By using Simcenter 3D alongside HEEDS™ software engineers are able to fully explore the design space. HEEDS is a multi-disciplinary optimization (MDO) platform. MDO is a technology that enables an optimization to be carried out employing multiple simulations (and other) tools simultaneously so that their – often competing -requirements can be balanced. A major advantage of HEEDS is that it is extremely easy to use compared to other MDO tools – no knowledge of optimization technology is required, since HEEDS automatically selects the most appropriate algorithms for you. 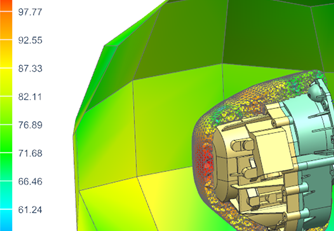 Simcenter 3D is well known for its geometry update technology and the ability to quickly modify a simulation to take into account design changes has big advantages. However, up until now, major changes in design topology could cause the update process to fail. In Simcenter 12, Selection Recipes enable a big step forward in this area. 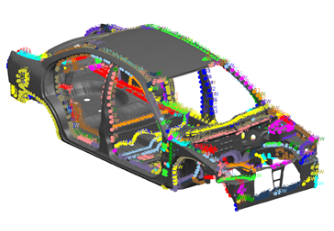 In large assemblies such as vehicle bodies and airframes, it can be challenging to create and validate the many connections that are required. In Simcenter 12, the concept of Universal Connections is introduced. Using this methodology allows us to efficiently create input for multiple analyses, and to update those analyses following a design change. Previously, access to display controls was controlled via the Post View. In Simcenter 12, a new Ribbon toolbar provides quick access to the commonly used tools. A single mouse click can now perform operations such as changing the colour display, controlling the cut plane and scaling the deformation, resulting in a much more user-friendly experience. Nodal Force reports enable for more efficient workflows, especially industries where a large number of load cases are required such as Airframes. Nodal Force reports are much more efficient than existing free body diagrams. Initially introduced with Simcenter 11.0.2, the Simcenter results viewer allows you to view results of analyses in many formats and from many solutions and lets results be easily shared with viewers without requiring a full Simcenter Pre/Post license. In Simcenter 12 the Results Viewer has been extended to support more Simcenter Motion workflows. This is only a small selection of the enhancements that have been introduced in Simcenter 12. To be completed up to date, check the complete what’s new guide here.